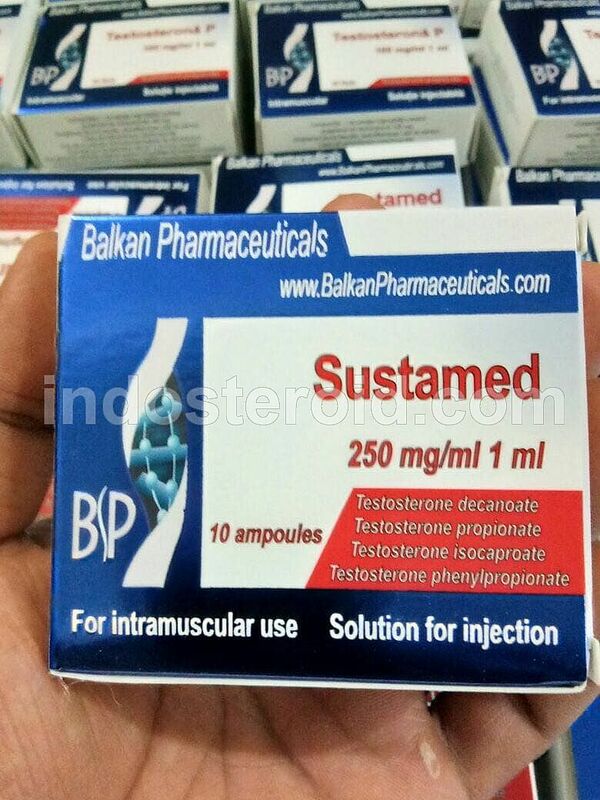 "Sustamed" is a trademark of the authoritative Moldovan pharmaceutical company "Balkan Pharmaceutical", under which a steroid is produced under the more famous name "Sustanon". "Sustanon" is a composite injectable anabolic steroid of a complex character with prolonged action. The drug is also known to the market of sports pharmacology under such trade names as "Omnadren" and "Mix Testosterone". Its formula is based on several testosterone esters characterized by a different release rate, which is due to the different lengths of the etheric chain of all its constituents. With this, its main features and advantages are connected. Some athletes mistakenly believe that this kind of composite anabolic steroid is a combined course "in one bottle". It should be understood that this viewpoint is incorrect, since all its components are eventually converted only to testosterone. The difference between them is only in how quickly each of the components enters the blood. The components of the "matrix"
"Propionate" The fastest testosterone ester, providing fast "activation" of the steroid. It lasts up to 3 days, reaching a peak concentration on the second day after administration. "Phenylpropionate". The average release rate of testosterone ester (valid up to 5 days), whose task is to create a "bridge" between propionate that is displayed on the third day and only "gaining momentum" by the next two "long" ethers - "isocaproate" and "decanoate". "Isocaproate" and "Decanoate". Two ether providing immediate prolonged action of the steroid. They fully enter into action and reach their peak concentration by the time when the metabolites of the two previous esters are already excreted from the body.